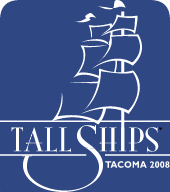 Tacoma Tall Ships as an organization will be closing its doors on September 30, 2010. The organization regrets that the Tall Ships will not be returning in 2011 but we hope that there will be a way for them to return at a later date. You will be re-directed to the Tacoma Waterfront Association for more information about sailing vessel and other waterfront events in the Tacoma area. If you are not transferred automatically then click here to visit the Tacoma Waterfront Association website.